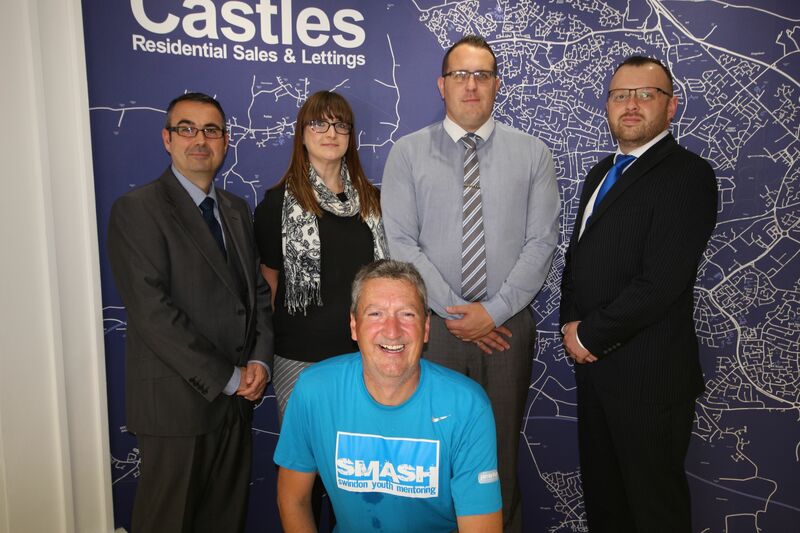 Castles Residential Sales & Lettings is sponsoring nutritionist Jamie Richards, who is raising money for SMASH Youth Project, the Swindon youth mentoring charity. The company, one of Swindon’s leading independent estate agents, recently handed over a cheque for £200, as part of a £1250 sponsorship, to Jamie as he took a break from training for the legendary Berghaus Dragon’s Back Race™ in May 2017. The five-day adventure covers 300 kilometres and climbs 16,000 metres through the wild, trackless, remote and mountainous terrain of Wales from north to south. It holds ‘toughest race’ status, being classed as the toughest five-day mountain running race in the world. Jamie is a nutrition, health and performance consultant. He works with individuals, organisations, teams and athletes across the south west, helping them regain health, optimise their weight and boost their performance. SMASH Youth Project has been running for over 16 years. It gives young people aged 9-19 years the chance to become everything they can be through mentoring. Since 1999, the charity has helped over 1,000 young people transform their lives.